Discover what a video game has to teach top researchers about epidemics, death, and human behavior. In 2005, millions of people found themselves trapped in the clutches of a raging pandemic. Once exposed and infected, perfectly healthy individuals weakened quickly. Both humans and animals could spread the deadly disease and, within hours, entire cities were contaminated, eventually rendering some uninhabitable as a result of bio-waste. Those that didn’t die right away, or had yet to be infected, fled from highly populated cities to reduce the risk of contracting the disease. The plague was dubbed “Corrupted Blood” and it originated, as all terrifying diseases do, from a spell cast by an ancient serpent blood god. 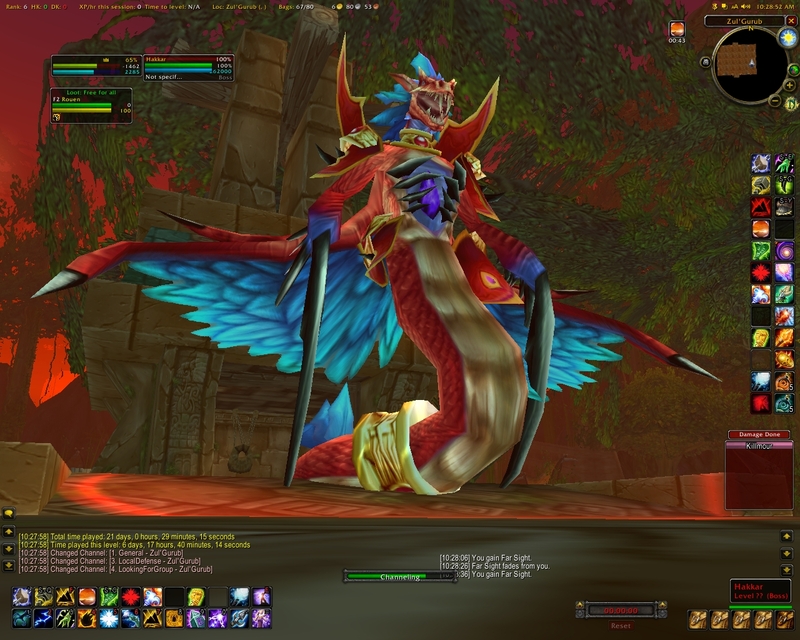 World of Warcraft (WoW) is a huge online role-playing game set in the fantasy Warcraft universe. Created by Blizzard Entertainment in 2004, it is one of the highest-grossing video games of all time, with more than 100 million user accounts over its lifetime. Players control individual avatars who interact with each other, complete quests, and gain abilities and skills. Unexpectedly, it was in this virtual world that epidemiologists and disaster planners discovered an untapped resource in trying to predict mass economic and societal responses to a global pandemic. 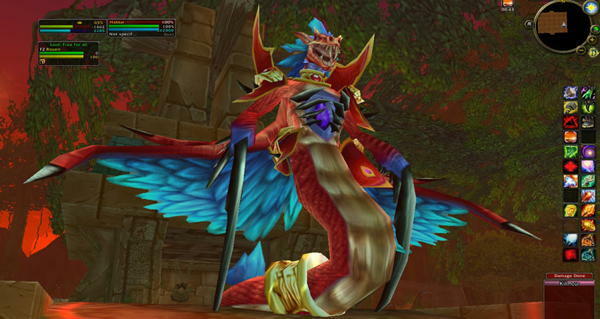 The Corrupted Blood incident was never intended to turn into a plague; it was actually a coding accident. A spell cast by Hakkar The Soulflayer was intended to inflict a certain amount of damage on a character every few seconds and could then be passed between characters in close proximity to one another. Only very high level players could challenge Hakkar, so while the spell made fighting him difficult, it would not necessarily kill these hardened players. The problem was that the virtual disease was only designed to stay inside Hakkar’s domain. However, through hunter pets and teleportation, it spread to the greater Warcraft world just like a real virus and, suddenly, the game had a pandemic on its hands. 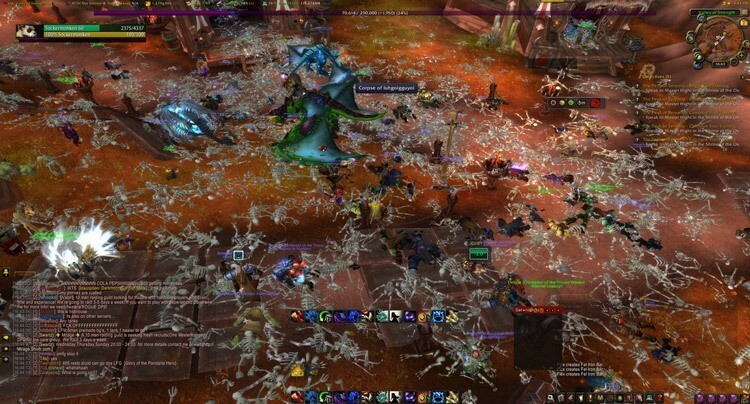 Corrupted Blood created mayhem throughout WoW. It would instantly kill new and weak avatars, which not only brought in thousands of complaints from players with dead characters, but also left piles of skeletons and corpses scattered throughout the cities and towns. Users had their characters leave the cities for more isolated areas, or stopped playing the game all together. Some tried to heal, while others tried to infect. Players with the disease flagged themselves, but soon those without it flagged their avatars to avoid players who happily and maliciously spread the disease, and the marking was rendered useless. Blizzard even attempted to impose quarantines on players to contain the disease but these were not well received and in the end, Blizzard reset the servers and fixed the code.